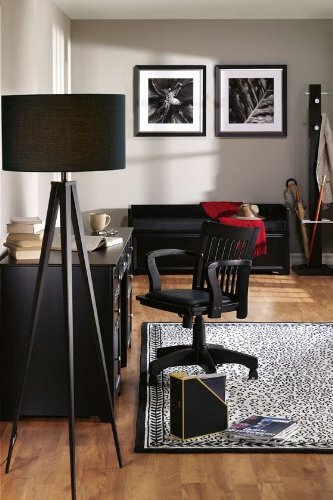 And the best home decor accent goes to … the Adesso Director Floor Lamp. Recreating the old-fashioned director’s camera upon a tripod, this lamp is a fun pop of whimsy in a home or office setting. 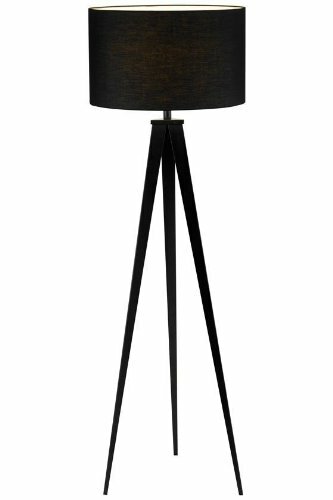 A black fabric drum shade sits atop a trio of sturdy black metal legs. Includes a foot step switch for easy on/off, and uses a single 150-watt light bulb (not included). Hit your mark with a unique light fixture that’s as fun as it is functional. About Adesso Adesso was established in 1994 based on the belief that there was an under-served niche among consumers who sought high-quality, contemporary home products at moderate prices. Since then, Adesso has not only revolutionized the home industry with its products and service, but has also gained substantial recognition for its well-designed and well-priced lamps and RTA (Ready-To-Assemble) furniture, quickly establishing itself as an industry leader. Its collections represent a variety of home accents and furniture, including lighting, kids lamps, clocks, tables, chairs, coat racks, and screens. With these and all of its other innovative products, Adesso continues to shape the future of home design. Matte black metal legs/base. Black poly/cotton fabric shade. Foot step switch for on/off. Shade: 20 diam. x 12H inches. Overall: 20W x 20D x 62.5H inches. Requires one 150-watt medium base bulb (not included).